School in full swing – stormy weather all week – September on the horizon. I’d say fall is in the air, and I am more than ready! So far the idea of keeping a mystery on the nightstand and going to bed before I’m too sleepy is a good recipe for maintaining an active reading schedule. 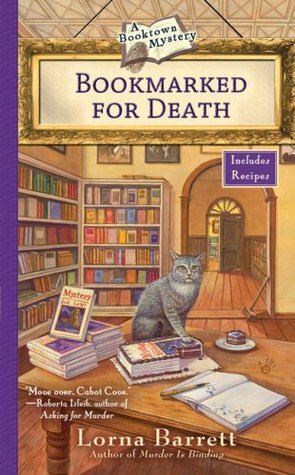 I finished the second Booktown mystery, Bookmarked for Death, and enjoyed it as much as the first. I still like the tense relationship between the protagonist, a mystery bookstore owner, and her sister; I like the fictional town that appeals to all bibliophiles (real and imagined); and I enjoy the suspense of the murder mystery. 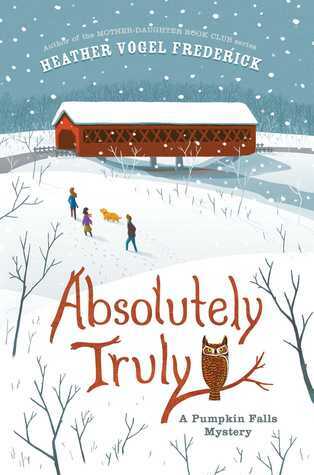 I also started a new Middle Grade mystery, Absolutely Truly, by Heather Vogel Frederick. I didn’t plan to have two fictional books going at the same time, but this library book is due in less than a week, and I wanted to give it a shot. I’m SO glad I did. I really love the author’s writing style. This is the first time in a long while that I’ve been able to escape into the story and ignore the writing: that is the sign of a gifted author! Truly is a relatable character and her family is a lovable, dysfunctional mess. They have recently moved to Pumpkin Falls, New Hampshire and once again, I am in love with an old-fashioned, quaint, fictional town. I love the general store, the local bookshop, and the covered bridge. And while the small k-8th grade school is not perfect, most students get along and respect their teachers. I’m about halfway through the book and plan to finish by the end of the weekend. I was thrilled to learn that the second book in the series will be available in January, 2017. I will be the first in line to pick up a copy. I wrote another chapter of Ellie’s Paris Adventure. This time I pushed myself and managed to write 2,300 words in about three hours. Up to this point, my average was 500 words/ hour. I have now completed ten chapters out of fourteen. The plan is to write a chapter a week and complete the draft by the end of September. I feel confident I will achieve that goal. I registered for the SCBWI (Society of Children’s Book Writers and Illustrators) Middle of the Map conference here in Kansas. The conference is scheduled for Saturday, November 5th – with an optional 10-minute meeting with an agent the Friday before. I took a step of faith and registered for an agent meeting. EEEK!! I need to have the first ten pages of the manuscript polished prior to September 30th. I will send those to her at that time, and then on November 4th she will give me her critique. This is SO FAR OUT OF MY COMFORT ZONE… I can’t even tell you. But I am determined to see this project through to completion – whatever that may look like. I am so excited I could just pop! 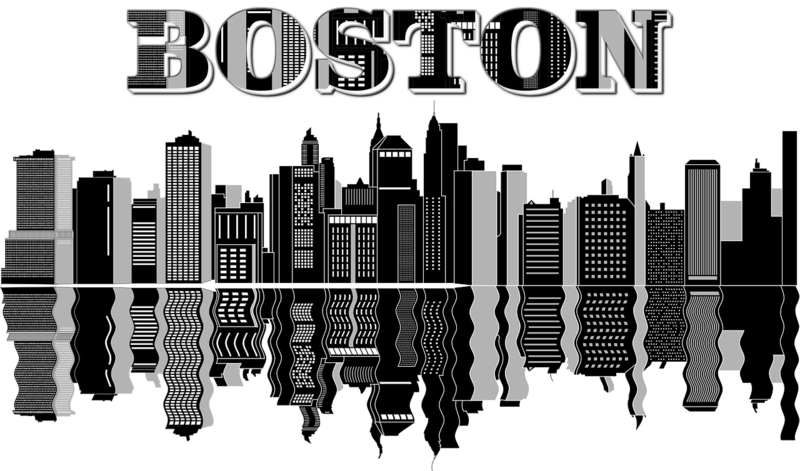 I’ve had an inkling this might happen for a couple of months, but now it is official: I leave this Friday for a 24 day trip to Boston! If you read my Travel Bucket List post several weeks ago, then you know Boston is near the top of that list. While I lived on the East Coast for nearly two decades, I somehow never visited this historic city. 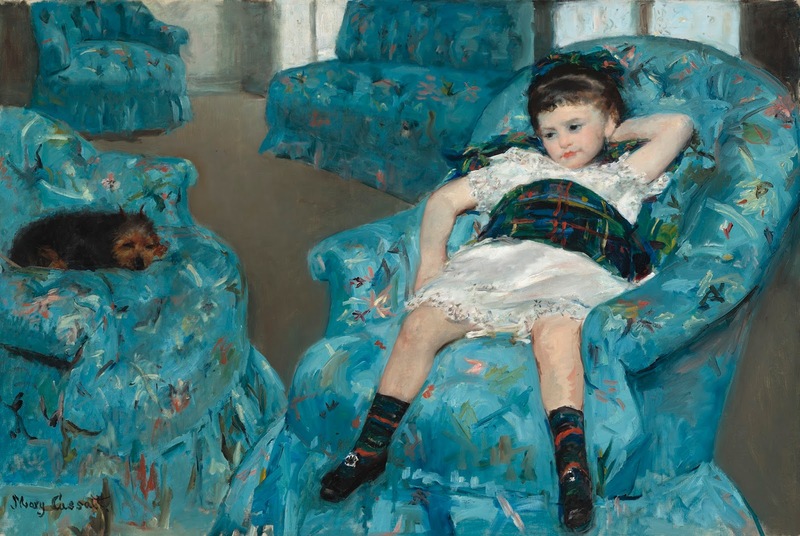 But… my son and daughter-in-law have business in the city, and they have asked me to be the grand-dog nanny while they are there. While I will have official duties, like walking the adorable black lab and making sure she is properly fed, watered and loved… I will also have plenty of free time to explore the city and take lots of photos. Right now I’m trying to get my head around the fact that I will be there for nearly a month. I mean… what do I pack? The first part of the trip will be summer weather, but Boston mid-September could be cool. I don’t want to take more than one suitcase (I’m not sure my one-arm status can handle even that)… but I don’t want to be without proper clothing while there. And I need to learn how to pace myself. My typical travel routine is to do as much as I can in a single day. But if I’m there for a full month, I can afford a more leisurely schedule. For my East Coast blogging friends (and those who have travelled there) … do you have any recommendations for places to see or restaurants to visit while I’m there? I am wide open to suggestions! Absolutely Truly looks good to me! I don't know. Myself, I can't read in bed. I can read in my recliner, and drift off, but not in bed. I guess when I go to bed, I go to bed and that's what I use it for, sleep exclusively. Congratulations on finishing another chapter. It sounds like you'll have the draft done easily by the end of this coming month. Hmmm? I've never been to Boston, but I do have some friends who live there. It might be because I'm a Yankee fan and don't really like the Red Sox. 😉 But I'm sure it's still a lovely city. Enjoy and look forward to hearing about your adventures there. I'd love to read your review, Kathy! 2,300 words in about three hours…wow! Congratulations! Absolutely Truly sounds good, I may try to find a copy. I hope you have a great time in Boston! Oh my! So many exciting things coming up for you. Visit with an agent. Gulp! (You'll do great!) Trip to Boston. Wow. Wonderful things. BTW, I spent an unforgettable day in Boston several years ago. I met up with a book friend, Marcia, who lives there. We spent most of the day by the Make Way for Ducklings ducks in the Boston Public Gardens, sitting on the bench, talking. We'd left a BookCrossing MWforD book next to the statues and watched parents come up all day and read parts of the book to their kids. It was a great day. Good luck with your writing. I think it is a good step of faith to meet with an agent and see what he/she has to say about your writing. Good for you! How wonderful that you've made the appt. with the agent!!! I'm excited for you and can't wait to hear what they have to say! Enjoy Boston! We went there for a weekend last year and enjoyed exploring. We also went to a Redsox game even though neither one of us is Redsox fans. The ballpark is classic, though and what I would call "intimate". I did find a cool used bookshop called Brattle Book Shop while we were exploring Boston, so if you have time, you may want to check that out. I'm so excited for your agent appointment and the conference. One of the many advantages of this trip is that I don't have to push. I will definitely take my time walking the Freedom Trail over the course of several days. GREAT suggestion! Oh… I read about the Brattle Book Shop, but now I know to definitely make the time to check it out. Thanks for the recommendation! Wow that's great news about spending time in Boston! That's fabulous. I'm sure you will get to know the city quite well. It's been a long time since I've been there. But definitely go to a Red Sox game and see the historical sights. I'm traveling too in Sept. overseas for about 2 weeks. ! Oh…. overseas travel for two weeks – that sounds delightful!! I see you are a member of SCBWI too, this is my second year, as I write a nonfiction book for MGs. Like you I keep a book next to my bed and read before falling asleep. How exciting to get to go to Boston and really be there long enough to get to see the city!